The Impact of Cloud Computing on Healthcare was written to help enterprise information technology (IT) and business decision makers of the healthcare industry as they analyze and consider the implications of cloud computing on their business. This guide contains guidance and strategies to help decision makers evaluate and compare cloud computing offerings from different providers, taking into account requirements from various actors including medical practices, hospitals, research facilities, insurance companies and governments. 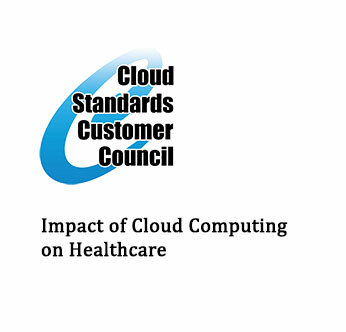 The paper covers current market dynamics, challenges and benefits of cloud computing on healthcare IT. Throughout the paper, the role that management and IT standards play to improve the flexibility, interoperability and portability of cloud computing environments is highlighted.